Marley New Zealand is part of the Aliaxis group, a privately owned business based in Belgium and active around the world. Aliaxis group employs 15,700 people across 40 countries and is made up of more than 100 companies worldwide. Each of these companies manufactures and/or markets plastic products for construction, industrial and public utilities. Marley NZ is the largest division of Aliaxis in Australasia and the largest manufacturer of uPVC pipes and fittings in New Zealand. Today, Marley has grown to become one of New Zealand’s largest manufacturers in the plastics industry. Involved with extruded and injection moulded products, Marley manufactures using PVC, Polyethylene and Polybutylene. Belonging to the Aliaxis group has also provided Marley with access to thousands of new products around the world. Metal Design Solutions works very closely with it’s Subsidiary Company Flashing Folding and Cappings to bring to its customers an all inclusive one-stop service starting with initial consultation, through manufacturing, and ending with installation. Whether it be manufacturing to your design, or starting from a concept, our technical team can deliver your project. We specialize in a range of custom-made sheet metal goods including everything from rainwater heads, intricate louver chimneys and stunning custom fabricated welded saddle flashings. Using the very best and latest technology that the international market has to offer, here at FFC, we combine 35 years of experience, enthusiasm, and quality suppliers to provide an excellent service to our customers. Our products are fabricated from sheet metal and copper components. Typical products include stainless steel chimney cowls, flashings, ridgings, spoutings and accessories, and a wide range of custom made products. Our business is built on reputation and we get the job right first time, supplying the best products fabricated from the highest quality materials at great value for money. 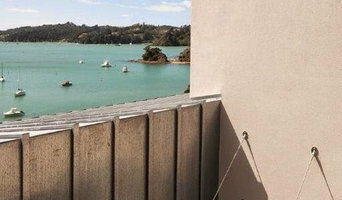 FFC and our highly skilled team are committed to providing the highest standards of workmanship to both domestic and commercial customers That’s why our customers recommend us in Auckland and surrounding areas. The team at Jase Roofing are all experienced quality roofers who provide an assured solution to all roofing projects. With a long history of service in the roofing industry projects, and all come with great experience. When it comes to roofing installation, re-roofing and repairs within all roofing systems; they have all roofing projects covered in the Palmerston North area and wider Manawatu region. Your roof is an integral part of your home and your protector against the unpredictability's of New Zealand's ever changing climate. The simplest defect or damage to your roofing exterior enhances the risk of other elements of your home or building being affected by nature. That is why in order to make sure your family or business and its contents and foundations are protected, you need to hire a professional. Reach out to our company in Auckland for affordable guttering, spouting, roof cladding and other roofing services. We also supply quality roofing materials that are commonly used for roof repairs, replacements, new installation and also maintenance. Our skilled experts are able to turn around any roofing problem you may be experiencing in your residential or commercial constructions and in its place, provide you with lasting solutions. 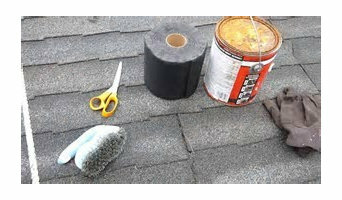 With us, you can forget about leaking roofs and unnecessary material loss due to water damage. All our work is error free and quality guaranteed and therefore, our customers have no reason to worry. For services without unnecessary delays, talk to us on 09 973 0071 and be part of our satisfied and regular customers. Why should you subject yourself to the stress of a damaged roof when our company is providing quality and efficient repairs at cost-effective rates? We are a company that cares about the well-being of clients. Two decades of roofing construction and upgrades have taught us a lot more than just enhancing our skills. We’ve learned how to interact with all types of client. Our employees understand the value of paying attention to detail and listening intently to a customer’s needs. They are the most reliable professionals you will ever come across. All the installations, repairs, and maintenance works are tailored to meet the industry’s standards. Our critical understanding of various roofing materials enables us to get you the best weatherproof product that will last long, hence saving you the cost of frequent reconstruction. Give us a call today on 09 973 0071. We will show up within a very short time, fully equipped and ready for work. All those cracks, gaps, broken tiles, guttering issues, and tears in your roof flashing or lining will be over by the time we leave your premises. 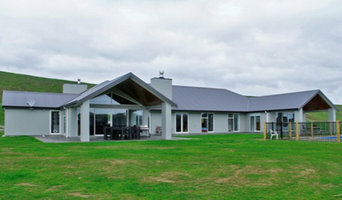 You can visit our website at <a rel="nofollow" target="_blank" href="http://www.roofing-auckland.com/">http://www.roofing-auckland.com/</a> for more details regarding our service delivery and a free quote. Supreme Plastic Roofing is a leading specialist supplier of quality plastic roofing products and sheeting products since 1996. We offer the highest level of service and advice, along with the highest quality plastic roofing products at a great price. If roof repairs Perth is your concern, then Smart Roof is the ultimate destination for all your roof requirements. At Smart Roof, we have a wide range of services to offer to you which includes roof repairs and metal roofing. 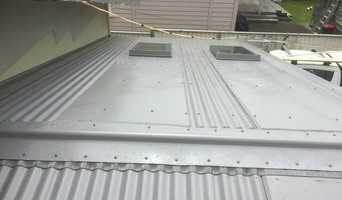 We specialize in gutter installation and metal cladding as well. Our professional workers are competent in serving you as per your needs as customer satisfaction is our prime motto. We have links with some of the best suppliers and we also a wide range of colours to ensure that you will definitely find your perfect fit. Call us for more information. A roof can make or break the appearance of your home. Most importantly it protects you and all of your belongings. And a cheap quality and improperly installed roof can cause serious issues like flooding, water damaged ceilings and more. The best way to avoid such situations is to hire someone professional like Versatile Property Solutions Ltd., who will take care of your roofing replacement, re-roofing and new roofing needs in Auckland. We not only provide roofing services but we also offer complete property maintenance services from building maintenance to fencing and more. Reach out online or give us a call at 0212949876. With more than 30 years of experience working with residential and commercial clients across Auckland, Shingle and Shake roofing is the gold standard for cedar and asphalt shingle installation. Shingle & Shake is a proud installer of high quality Owens Corning roofing products, and SPS Cedar and Pine Shingles. Shingle and Shake promises to complete all roofing work in a professional manor, and within budget. We are confident that we can satisfy your roofing needs. 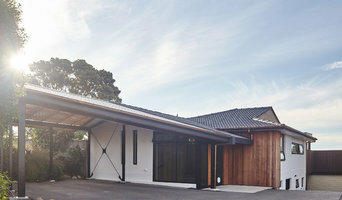 Auckland Plumbing and Roofing Ltd.
Roofing and gutter contractors can install a new roof, repair an old one or extend an existing one, as well as repair and replace gutters. They can inspect roofs and guttering after damage from harsh weather, and also offer services such as roof insulation, and general maintenance such as roof and gutter cleaning. Some specialise in specific types of roofs, such as tile, metal or Colorbond roofing. Here are some related professionals and vendors to complement the work of roofing & gutters: Building Project Managers, Specialty Contractors, Cladding & Exteriors, Doors, Garage Doors. Find a roofing company and gutter professional on Houzz. Narrow your search for professionals by selecting your nearest city or postcode. Look at portfolio and product photos, and read reviews to find the best roofing company and gutter professional for your home.